Club suspect someone using "universal remote device". 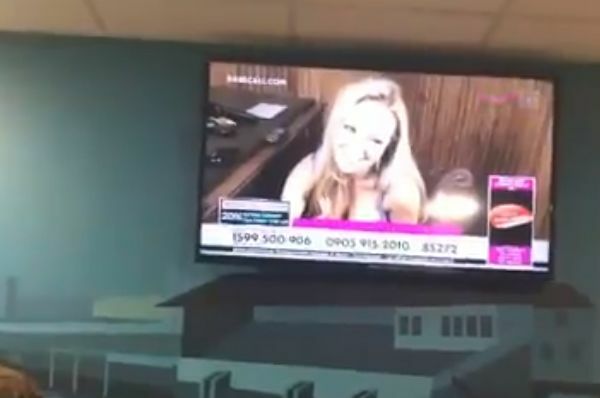 Clubhouse televisions at Bristol Rovers aired Babestation as fans went for refreshments during half time of the Carabao Cup win over Crawley Town. The club believes that someone that was attending in the bar was using a universal remote device to affect the TV output. The matter will be fully investigated, however the club believes that they have photographic evidence of the individual concerned and they will be dealt with appropriately. Rovers triumped 2-1 on the night, with goals from Kyle Bennett and Ollie Clarke booking their place in the second round of the competition.